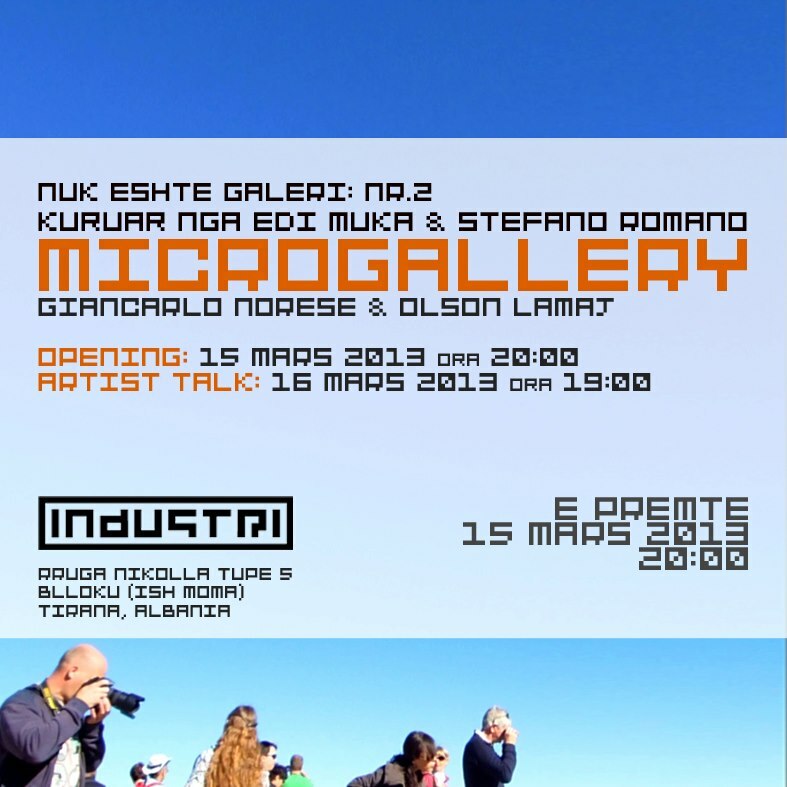 Microgallery is a project by studio203 - art and architecture collective. 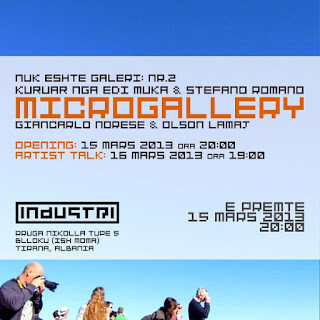 Microgallery is a portable gallery in miniature that has no great pretensions, but expects great ideas. The space is built and designed as a white cube (50x50x50cm), a space which by its own definition does not have an identity, but in this case the identity is symbolized by its size. Microgallery is a cube, a window, a space for thought offered to artists to enable them to compete with a space with which have never been involved before. The challenge is to create an artwork that is fully part of the artistic research of the artist invited and at the same time surprised him. “... to build a sort of network of collaborations and comparisons with similar realities, often developed without knowing each other, and mirror of a contemporary attitude to deal with an increasingly “consumed” world that would have us find the force to rethink our development model. And is it not true that all of our important memories are in boxes? So let’s see if many boxes linked to each other can build a new collection of objects and emotions able to make the world see the world from another point of view, that of the departure one.